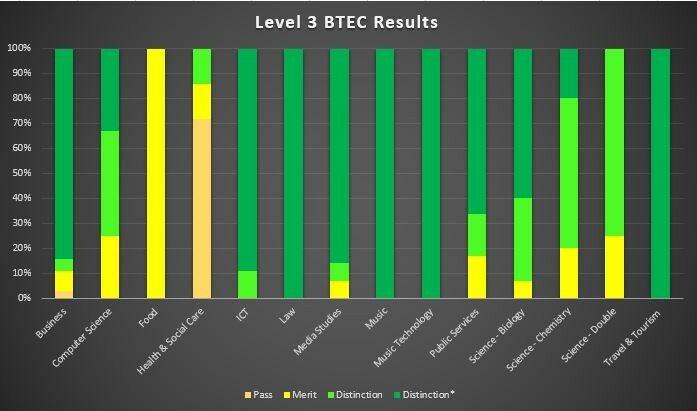 We are very proud of our students who work very hard from a range of different academic starting points. 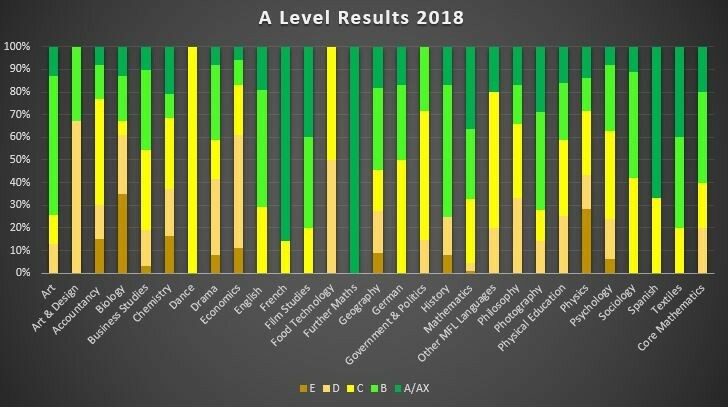 They make excellent progress over their time in the sixth form, and their results reflect this. The school offers both traditional academic A level courses in 25+ subjects as well as vocational level 3 courses in 12+ different areas. Students are able to take all A level courses, all vocational courses or a combination of the above. Over 120 students have taken up university places, having achieved the grades needed for their chosen courses. An increasing number have progressed onto apprenticeships or are starting their working career. We wish them every success for the future.